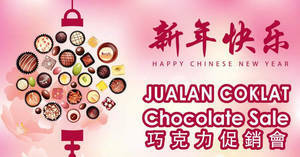 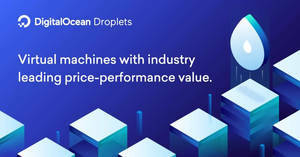 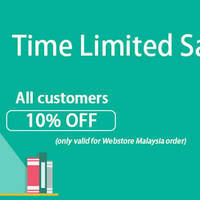 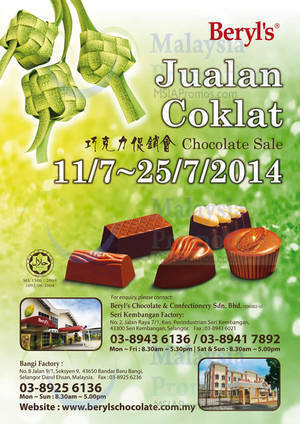 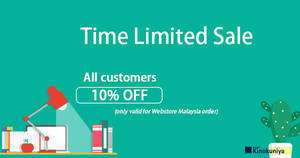 This Chinese New Year they are going to have MORE offers with variety of choices. 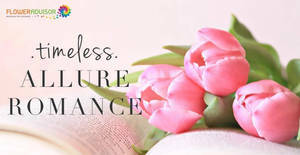 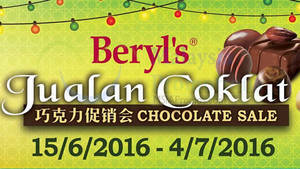 Beryl’s will be having a Chocolate SALE from 25 May – 13 Jun 2018. 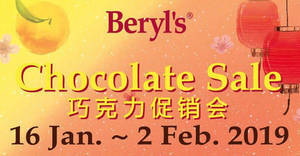 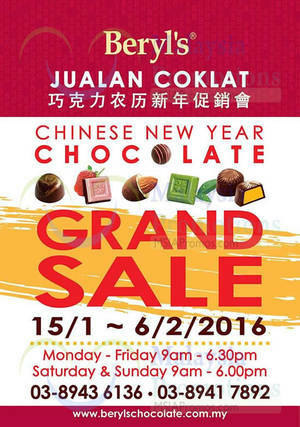 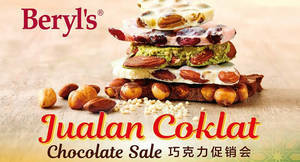 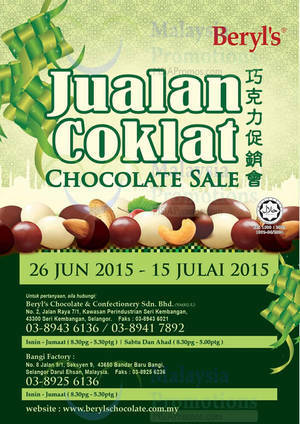 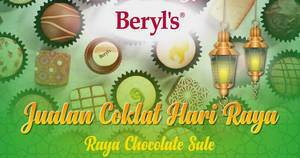 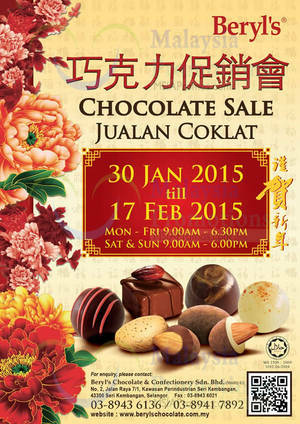 Beryl’s will be having a Chocolate SALE from 15 Jan to 6 Feb 2016!